Cuff size : 25.4CM to 40.6CM ( 10 to 16 inch). Stethoscope and Vinyl Zipper Carrying Case included. 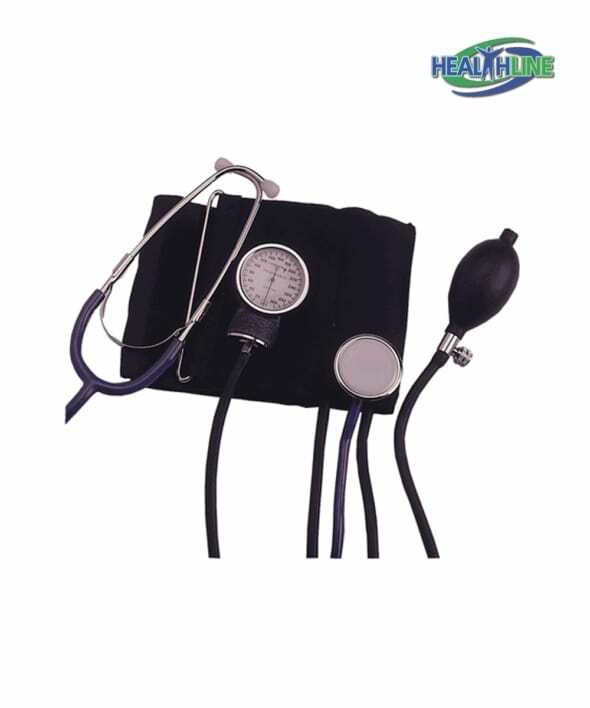 Manual blood pressure monitor with Stethoscope and Carrying Case from Healthline Trading is a great addition to any household. Especially useful in a home with post-stroke patient or a chronic Essential hypertension patient. Well made and sturdy, this manual blood pressure monitor makes watching your blood pressure levels very comfortable and easy. Cuff size of this device can vary from 25.4 cm to 40.6 cm (10 to 16 inches). Stethoscope and Vinyl Zipper Carrying Case come complete with this monitor. We bought this manual blood pressure monitor for my husband. He had some minor heart issues in the past. We still keep checking the blood pressure time to time just to make sure everything is OK now. I’ve got no complaints about this kit. The earpieces and cuff are comfortable, the carrying case is convenient.